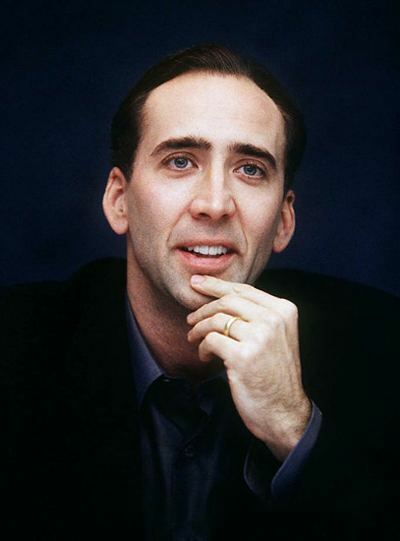 Introduction: Born on 7th January 1964, Nicolas Cage entered the 45th Solar Return today. This actor sky rocketed to fame right from his very first appearance in the film 'Brubaker' with Robert Redford back in 80's. Since then, he has played an array of characters in his life which includes the role of an actor, producer and director and is still going strong. In the light of this, Ganesha predicts his year ahead, based on Vedic Solar Return Method - Varshphala as per Tajaka System of Astrology. The Ascendant of the Solar Return Chart is the 8th house of Nicolas' Natal chart. The Lord of the Year is Moon, placed in the Kendra (10th house) of the Solar Return. Muntha is in Virgo in the third house of the Solar Return. Muntha Lord Mercury is in the 7th house. Ketu and Rahu are hitting the 1st house and the 7th house axis. Itthashal, Esraph, Manua,Rudda and Kambool Yogas are present in the Yearly Chart (Varsha Phala Chart). Karma Bhuvan Lord in the Natal chart is placed with Rahu, and Jupiter in the Kendra of the Solar Return Chart. Sun and Mars, the two fiery planets are placed in the sixth house of diseases. Nicolas will definitely gain more fame during the year. He will begin something new and will be called the trendsetter for this act. His career graph, which seems to have fallen a bit in the second half of 2008, will again rise, and he will not only maintain the status quo but will also be appreciated or awarded for his work during the year. Nicolas' personal life may remain a bit shaky during the year and his concern for the personal life may shift his focus from the career. However, he will maintain the balance between both the fronts by remaining flexible. Nicolas will have to take very good care of his health as he may suffer from some ailment/health issue in this year. Also, he will have to be beware of a scar/injury. He will now be willing to do different kinds of work, in search of creativity and would want to break the monotony. Expenses are likely to rise and he may not be able to control them despite extra efforts. Nicolas Cage may start taking more interest in spirituality or may take interest in some cult. In other words, he may develop a saintly approach towards life but this may not be very apparent in his behaviour. During the second quarter and the third quarter, he may remain in the limelight. However, he may suddenly have to discard a project. In this sense or to say in other words, he will have to be careful of his public image too. Many Happy Returns of the day to Nicolas Cage and may Lord Ganesha bless him great success during the year.